Did you know? Proposal Packs are designed for writing ranching related proposals with pre-written templates, samples, graphic design options and automation software. Do you run an eco-friendly, humane, free-range animal ranch and want to use that fact to help sell your beef, chicken, or buffalo? Or maybe you're running a nonprofit international organization and you want to help the poor in other countries start a piggery or raise goats or turkeys. Perhaps you are working in the research or veterinary field and need to get a project approved or funded. Whether you're already running a ranch and seeking new outlets for your livestock or meat, or whether you are seeking funding to start a ranch, expand a livestock operation, or fund a research project, sooner or later you will need to master the art of writing a business proposal. If you can run a ranch, you can certainly write a proposal. You know ranching. You know what you want to do with your business. So you've already got a good start on the content for a proposal. Now, you need to add one vital element: knowledge of your potential customer or funding organization. You need to keep that person or organization in mind while you write your proposal. Successful proposals are custom tailored for their recipients. So before you start writing, not only should you gather all the facts and figures and internet links you need to describe your organization and explain what you propose to do, but you should also gather some data on your proposal readers. For example, what's the history of the organization you are pitching to? Have they approved projects like yours in the past? Do they have a particular interest, such as organic farming or humane treatment of animals? What do they already know about you? What questions are they likely to have? Knowing your prospective customers or partners will help you include the right sort of information that will persuade them to support you. After you have all your information in hand, how do you begin a proposal project? By writing a Cover Letter. It simply needs to introduce your organization and your proposal, explain what you'd like the recipient to do after reading the proposal, and provide all your contact information. Next, create a Title Page. Choose a name that describes your proposal, like “Funding Request to Help African Villages Set Up Pig Farms,” “Plan to Add Buffalo and Ostriches to the High Country Ranch Operations,” “Pilot Program to Study Livestock Disease Resistance,” or “Proposal to Deliver Fresh Free-Range Beef and Chicken to Cindy's Down Home Restaurants.” The Cover Letter plus the Title Page, plus an optional Table of Contents and/or Client Summary (list of important points), makes up the first and shortest section of a proposal - the introduction. The pages in the second section should describe what your potential customer or funding organization needs and wants from you, as well as any Limitations, Deadlines, or Restrictions you know about. This section could also mention any Opportunities that the readers may not yet have thought of. For example, local ranchers may not be supplying the demand for goats for traditional Greek Orthodox, Jewish, Hindu, or Muslim holiday meals in your area. Or perhaps you see a future need for more lean meat like beefalo, turkey, or ostrich. Or maybe you want to describe the need for milk, meat, and eggs in the diet of poor people, as well as the opportunity to make families self-sufficient with rapidly reproducing livestock. Pages in this section will have titles like Problem Statement, Needs Assessment, Market Demand, Opportunities, Requirements, and so forth. If you are applying for funding or responding to an RFP, you probably have a checklist of information you need to provide, and you can insert your RFP Cross Reference and Compliance Matrix here, along with any other thoughts you have about future needs or challenges not addressed in the checklist. The third section should be a detailed description of what you propose to do. This section could have any number of pages and topics, depending on your plans, projects, services, products and ideas. For example, if you plan to sell meat and poultry to restaurants or stores, you'll want to include pages describing your Products and a Wholesale Price List, and include Purchasing and Delivery Details. Be sure to include any details that help your plan stand out from your competitors, such as Environmental practices, your plan for Sustainability, and so forth. If you are starting a ranching operation, you should describe your Project Plan and Budget as well as your existing or needed Equipment, Personnel, and Real Estate. You might need to include a Return on Investment page. 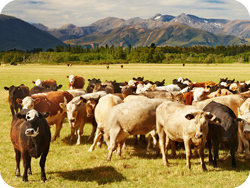 If you plan to offer a service to existing ranchers, such as inspection, insemination, inoculation, castration, branding, transportation, butchery, veterinary, auctioneering or even bookkeeping services, then you'll want to describe all the tasks you will do. Each topic should describe how your project will meet a need or fulfill a demand and thus benefit all parties. Make sure you address all the needs, requirements, and opportunities mentioned earlier. The fourth and final proposal section should explain why the reader can trust that you will fulfill your promises. This is your opportunity to brag about yourself, but remember that credibility comes from facts and recommendations from others, not from you simply saying you're the best. In the final proposal section, you should have pages like About Us or Company History, Experience and Expertise, Team Members, and so forth. If you have successfully completed similar Projects, list them. Include pages describing any special Training or Credentials that would help to persuade the reader, and add Testimonials, Referrals, Awards, and recognition of Achievements from others. After you have all the information, facts, and figures in place, take the time to proofread each page. Simply running a spell check program is not enough. Polish the wording and the appearance of all the pages. You want the proposal to represent you at your professional best, especially if you have competition for contracts or funding. Proposal Pack for Any Business covers ranching related proposals mentioned above. There are also many specialty design themes available. Want to get a big head start on writing your proposal? Then consider using a proposal writing product like Proposal Kit, which comes with over a thousand professionally designed topic pages, including all those mentioned above. Each topic page contains instructions and examples of information to place on that page, so you'll never sit looking at a blank screen. Proposal Kit includes dozens of sample proposals you can review to see which topics might go into a proposal and how the finished product could look. Speaking of looks, you can choose different graphic designs with Proposal Kit, too, to make your proposal visually appealing. There are even a few contracts that you can adapt for your own use. Proposal Kit is great for general business use, too - you can use it to produce bids, reports, studies, and business letters as well as proposals. Proposal Kit can make even your very first proposal look and sound like it came from an expert. Learn how to effectively select colors for a winning business proposal.